Is the Digital Divide real or imaginary? According to the most recent Office of National Statistics (ONS) data, the digital divide is still a major issue for young people in this country. ‘Poverty is clearly a factor in poor access to digital learning technologies and poor performance in school. The link between the two cannot be ignored’ says Judith Burns, BBC News education reporter. Most staggeringly this translates to a total of 750,000 children living in households with no internet, and 650,000 without a computer. Download the 2011 Report Now! 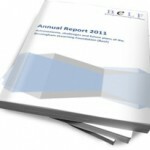 The Birmingham eLearning Foundation Annual Report 2011 is now available to download. We hope you enjoy reading it and we welcome your comments and feedback. BeLF has teamed up with Steljes to provide safer internet access to pupils. Just a few days before the end of summer term. BeLF provided internet dongles to 3 schools. These schools who are already involved in the BeLF programme used parental contribution funds from previous projects to provide internet access to students and their families through via dongle modems. These dongles are different to the usual dongles available from the shops. They offer managed access so pupils cannot access certain sites such as gambling or adult -orientated sites. Access depends on age group so parents and teachers have the peace of mind that children are more safely surfing the internet.